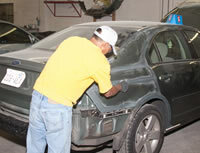 Since 1962 Lakewood Auto Body has been offering auto painting services in the South Hill, WA area. What distinguishes our auto paint shop from others is our commitment to ensuring superior workmanship on every car painting job we perform in the South Hill area. Our auto paint shop utilizes cutting-edge painting system to give your car an unmatched finish. Combine that with our excellent customer service and you get a go-to auto paint shop for your South Hill vehicle. Auto painting in South Hill is a crucial aspect to complete collision repair. We offer high quality yet affordable car painting services in the South Hill area. We have the equipment and expertise necessary to ensure a fast, efficient car painting job. Whether you have suffered a minor dent or a major crash, we can restore your vehicle to its pre-accident condition in no time. We are so confident in our car painting work that we offer lifetime warrantees to our customers. Need custom auto painting for your South vehicle? 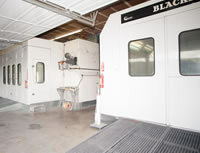 Our auto paint shop strives to make your custom auto painting experience as enjoyable and affordable as possible. Call Lakewood Auto Body at 253.581.0220 to find out more about our car painting cost for your South Hill vehicle. We look forward to speaking with you!